The squeaks are off to their first day of school. Sawyer was hesitant and did not really say much. My heart hurts, Kindergarten is a big deal. Syd went in with her usual know it all confidence! I’m excited to hear how both of their days went. Go ahead, get lost in this. This is the article that the movie “Blue Crush” was based on. Get lost, feel the sand, and wish you were a rad surfer-home schooled-Hawaiian goddess. It helps take the mind off these frigid temps! I’m having a lovely morning. The fam gave me a day pass and I’m enjoying a Sunday morning in Manhattan. I tripped upon this sweet little coffee shop La Colombe Torrefaction. 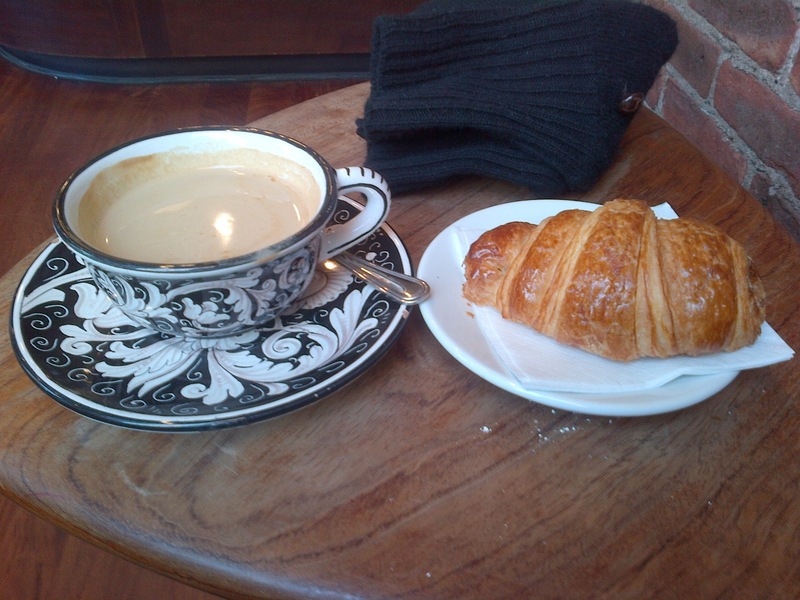 I’m enjoying a double espresso and chocolate croissant. However when I asked where the restroom is they said it wasn’t for customers. I exclaimed “a coffee shop without a bathroom?”. The guy said, “this is New York”. What does that even mean? I’m a born and bred New Yorker. People in New York certainly use the bathroom after drinking coffee? Unless I missed something. Their website says the coffee and customers come first. They should also add “but not if you need to use the bathroom”. Gah. I thought I was the only one that flipped through catalogs and made up imaginary conversations/life events/situations with the models frolicking through the pages. Apparently, I’m not. I LOVE doing this with the Athleta catalog. I’m so gloriously aligned after the yoga class I just took. I’ll just slip into my Sochi Sweater Dress and meet my girls for a tea. Life is good, I’m smiling, and I’m carrying a blue mug. I took a detour. I’m on my way to Queens to pick up Wesley, our new pug! In my excitement I realized that the ride is not that long so I had time to stop for a quick bite. 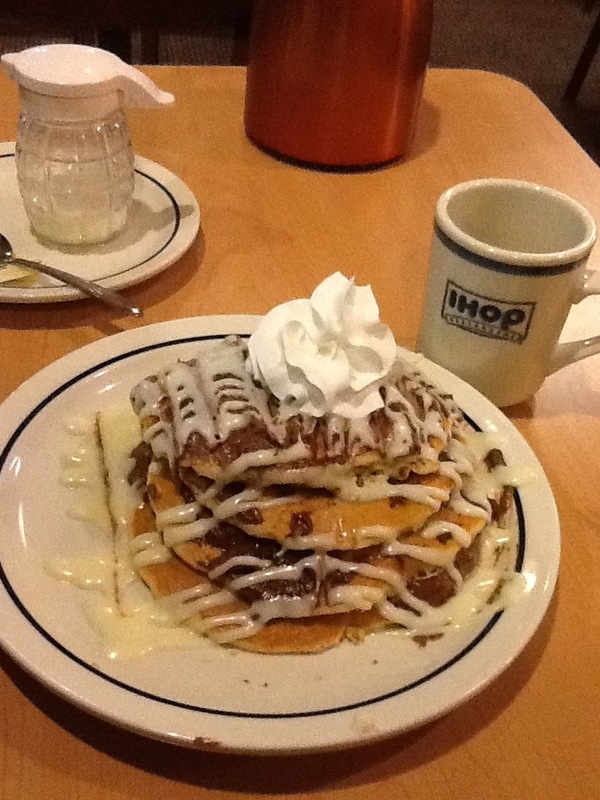 This thing of beauty is the Cinna-Stax from IHOP. Its like a cinnabon but legitimized into a breakfast product. The server asked me if I wanted sugar free syrup. I said no but I will take a side of bacon. Turn those arrows the world is shooting at you into blossoms. Yes, I think this is a very good idea. Update: I was so taken by this teaching. 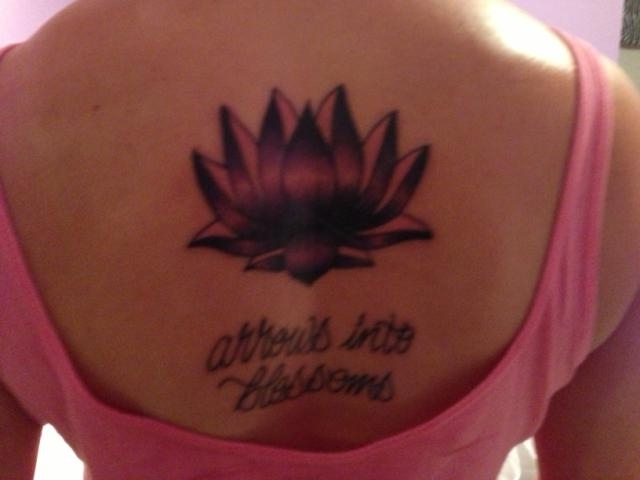 I have been thinking about a tattoo for a while and I got it done on Sunday. What do you think? 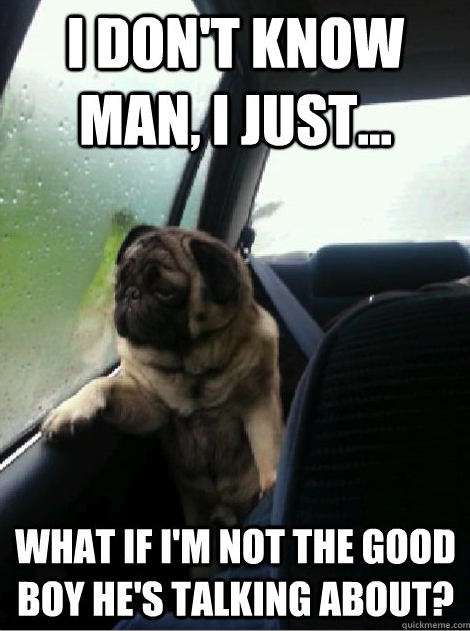 Pugs will save the day. All you need is pugs…all you need is pugs…all you need is pugs, pugs, pugs are all you need (please sing this to the tune of All You Need is Love). It doesn’t really fit this video but it just felt right.